It’s Australia’s annual end-of-year impro comedy climax! The Theatresports Cranston Cup Grand Final returns Sunday 27 November with Australia’s most exciting new talent mixing it with champions and legends. 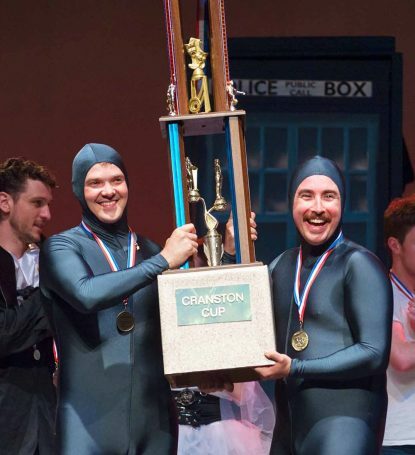 The Cranston Cup Grand Final features the best new teams from university leagues, rising stars of Sydney’s bourgeoning impro-comedy scene, and the most awesome champion players and comics – legends all – from around Australia.